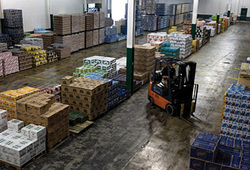 Beverages Non/Alcohol & Private Label - MFDC GROUP INC.
BEVERAGE DISTRIBUTIONS - wholesale/export famous brands and private label. Your source for famous Ontario vineyards wines & spirits. Beverage Distributions is your reliable supplier of famous brand wines from the famous vineyards of Niagara region in Canada. Let us know what type of wines your looking for as we are connected with all major wineries in Ontario region. We also can offer private label and bottling services. Red Wines, White Wines, Icewines, containing alcohol & non-alcohol. retail chains, conventions, banquet halls, convenience stores, grocery stores, wholesale outlets, restaurants, hotels, special events, weddings , and much more. Champanade comes in a delectible variety of flavors: white, red , raspberry and peach.